Adoptable toy poodles may live in foster care and already be trained. Smart, adorable, sweet, company-loving, fun, fashionable -- does this describe you? It also can describe a toy poodle! In New York City, you may be surprised to find adoptable purebred toy poodles. Your next companion may be in the shelter you pass by on your daily walk around the city. As a New York City girl, start visiting the pups at one of the many nearby rescue organizations and shelters that you may walk by often. If you’re not sure where to start looking for a toy poodle needing adopting, start by contacting the Poodle Club of America Rescue Foundation. The PCA can connect you to a local rescue contact in New York or help you find a toy poodle who can be transported to New York City. Also, check out websites, such as Petfinder and Adopt-a-Pet. Search by breed and location and watch your screen fill up with adoptable poodles in New York City. Once you find an available toy poodle in New York City that you are interested in, complete the shelter or rescue organization’s adoption application. Don’t be scared off by the length and depth of the application's questions. The shelter just wants to make the best possible match for you and the dog. After reviewing your application, you might be able to take the dog immediately, but most shelters complete reference checks and home visits first. If you find a toy poodle outside of New York City, don't count him out, ask about transportation as many volunteers may help get the poodle to you. Of course toy poodles are absolutely adorable, but these precious tiny dogs also are very intelligent. As opposed to miniature and standard poodles, which are much larger, the American Kennel Club classifies a toy as 10 inches or under. 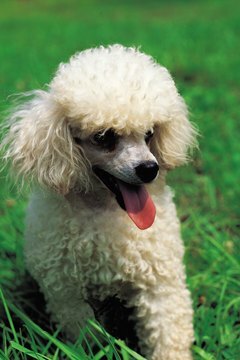 Poodles are colorful too, and purebreds can be blue, gray, brown, apricot, and cream, among other colors. If you watch them walk, notice how many toy poodles carry themselves proudly with a prance in their step. However, don’t expect that from a shelter poodle, who may not have had such a good life. 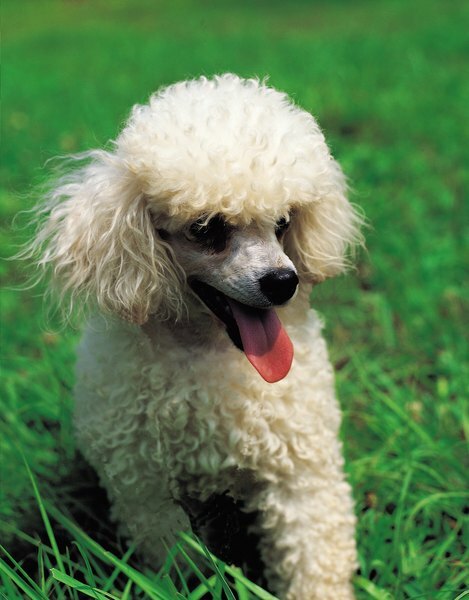 Poodles may be shy if not socialized or if they were used as a breeding dog in an unhealthy environment. Many do come around and get over being scared or shy if you shower them with lots of love and attention. With so many toy poodle breeders around, why adopt? Especially since finding a purebred toy poodle in New York City may take some time. Here's why...adopting a dog means you are supporting an honest organization, helping a dog in need, and not perpetuating inhumane puppy mills. You may not realize that adopting a dog is cheaper than purchasing from a breeder. Also, once you hear the story of the dog's history and how he got to the shelter, he'll tug at your heartstrings and it's hard NOT to want to give him a good life. If you can't find a toy and don't want to wait, don't overlook a larger poodle or poodle mix that may be your perfect pet. Adopt-a-Pet: Dog Adoption, Cat Adoption and More!